The Strela-1M satellites were one component of the Strela store-dump communication system. It consisted of a large number of satellites deployed one orbital plane. The Strela-1M satellites were orbited in octuplets and were allowed to drift ramdomly in their 1500 km orbits to allow a more or less even distribution. Due to the short lifetime of the satellites, the constellation was replenished one or two times per year. The larger and lower orbit Strela-2M satellites complemented the constellation for secret communications. 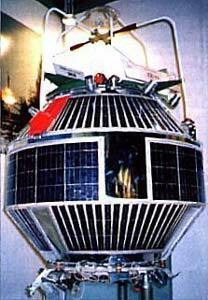 The Strela-1M satellites were first orbited in 1970 after tests with the earlier Strela-1 satellites. Beginning in 1982, the system was replaced by the more capable Strela-3 constellation, leading to a phase out of the Strela-1M system in 1992.